SIMPLE VERSATILE LED PAR CAN CONTROLLER! Works brilliantly with Showtec, QTX, LEDJ, Stairville LED PAR cans and many more. 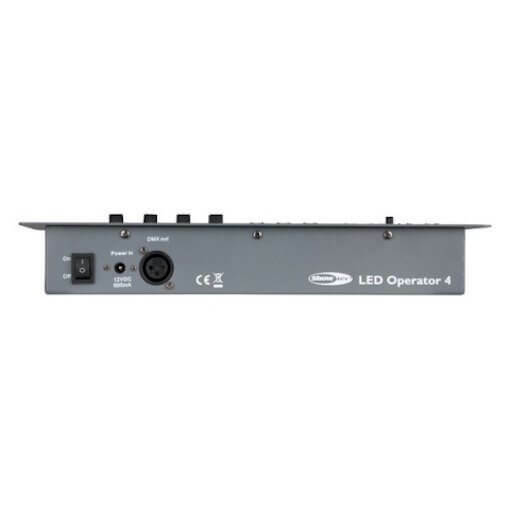 The LED Operator 4 is a compact DMX controller for LED lights with 3- or 4 channel modes (RGB either RGBW or RGBA). It is an easy to operate controller with built-in sound activated or manual playback options. The LED Operator 4 can control fixtures in four different groups independently of each other. 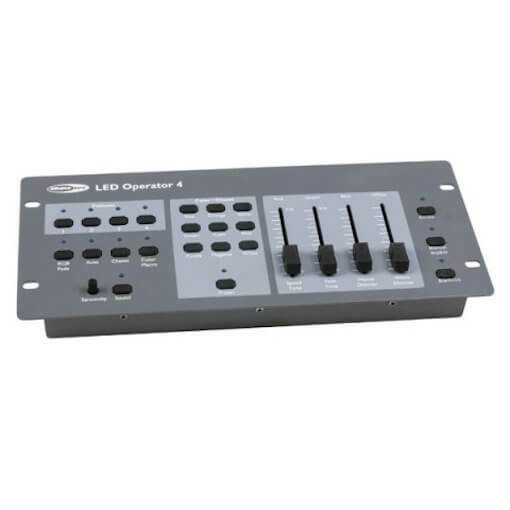 Its one-touch buttons of pre-mixed colours, built-in chases and strobe and dimmer controls makes it perfect for any operator looking for an easy way to control any LED fixture.